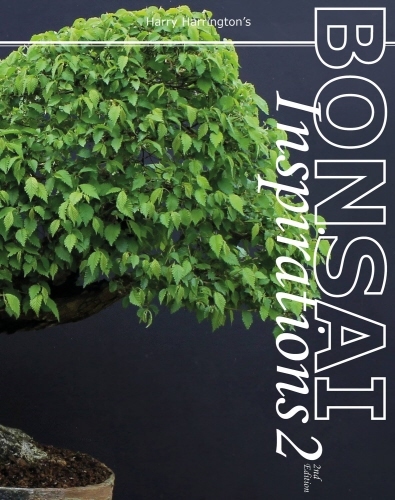 << Back Bonsai Inspirations Volume 2 (2nd Edition) By Harry Harrington. Bonsai4me was initially launched as a website by its author, bonsai artist Harry Harrington, in Oct 2001 and from humble beginnings (the first 3 months saw a total of just 1000 visitors) the website has grown year-on-year as its reputation for clear, interesting and informative articles grew. Bonsai4me.com now attracts over 1.5 million visitors every year from across the world. New version has 40% new pages. Updated text throughout. All chapters updated with new text and images covering the further development of the trees in the past 6 years. Detailed carving article describing the whole process. Roughing out, ageing and detailing, staining.